Click the "Access" button.on the right hand side of the browser. As a shortcut, you can bookmark the access location. Look at the upper left side of the browser. You can access calendar, online shared documents and much more from here. 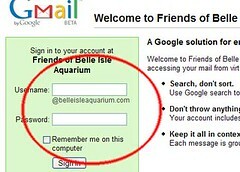 Forwarding your mail from this address is also possible, read the help instructions.